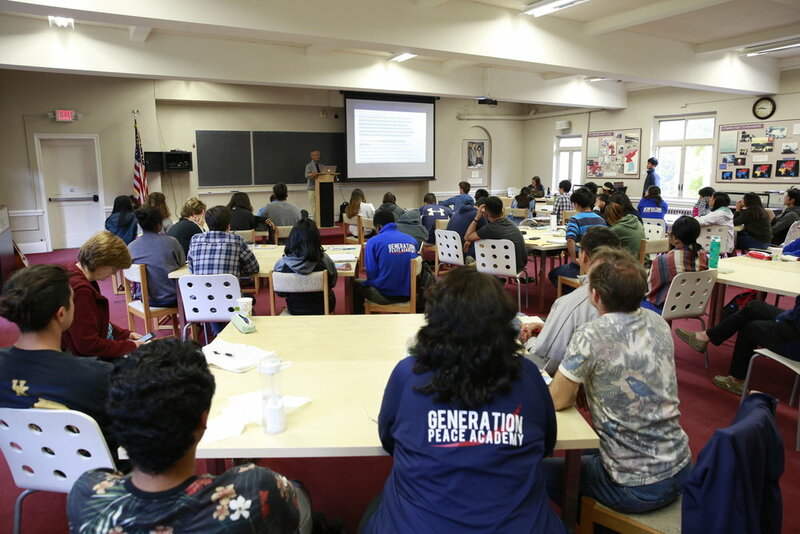 In its third installment, CARP partnered with GPA to provide a Culture Wars pilot seminar with over 40 GPA members as participants. The event was facilitated by Mi Young Eaton and the speakers included Gerry Servito, Robert Beebe, and Cheryl Wetzstein. Participants were coming into this content without much expectation. It was their first time experiencing Culture Wars and they came with the intention to prepare for entering life after high school. This pilot program was really about giving the participants an opportunity to experience the type of discussions and issues they will experience outside of the GPA program. For example, being introduced to the divisive nature of American politics and general polarization around pressing issues such as sexuality, education, and media. The pilot sought to introduce “Headwing” ideology as a perspective that can be uplifting, reconciliatory, and provide a principled response to pressing cultural issues. Participants were discovering Headwing ideology throughout the program. The intention was to prepare them to be a more proactive voice after leaving GPA when dealing with the current cultural climate of America and the world. This allowed participants to be aware of and shape their own worldview while learning about other views. Some participants were engaged the content while others found the content relatively new. The pilot program is part of a process to communicate a Headwing perspective in a way that’s relevant to the current generation. To deliver a Headwing perspective that will stimulate respectful dialogue, reconcile and elevate the discussion of pressing cultural issues of the day. To establish and embody a culture and environment of awareness, authenticity, open-mindedness, respect, and honesty among college students and professors where participants are empowered to impact the cultural discussion on American campuses.